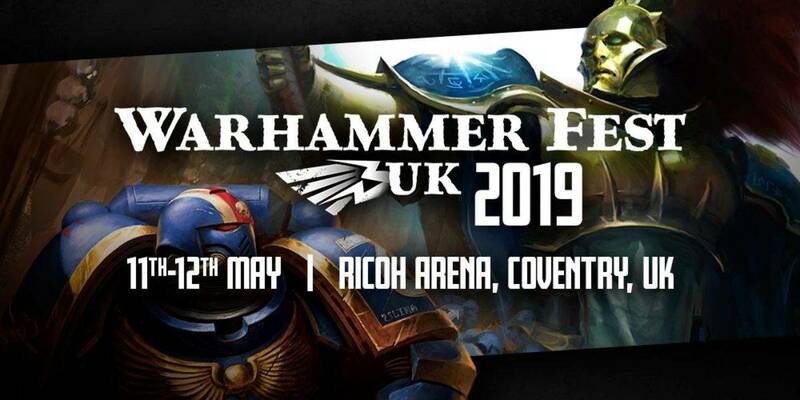 Huge preview of the Skaven Battletome by gw team. Skaven armies have four allegiance abilities that apply across their whole army, and six allegiance abilities specific to the clans. Clan abilities are a bit fancier. 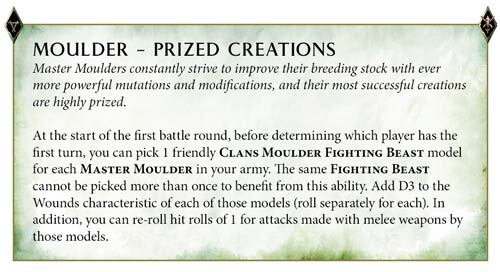 The Clans Skyre and Pestilens abilities will be familiar from their appearance in last year’s General’s Handbook, and are joined by new allegiance abilities for each of the main clans. Take the Clans Verminus – you’ll be able to give a command trait to six Clawlords, giving you loads of versatility. 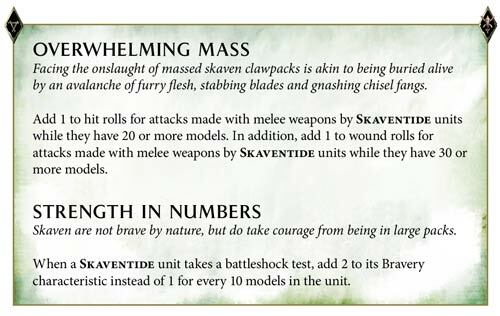 Skaven are getting not one but two magical lores to draw from! The first – the Lore of Ruin – is available to Grey Seers and contains all sorts of hideously effective curses. 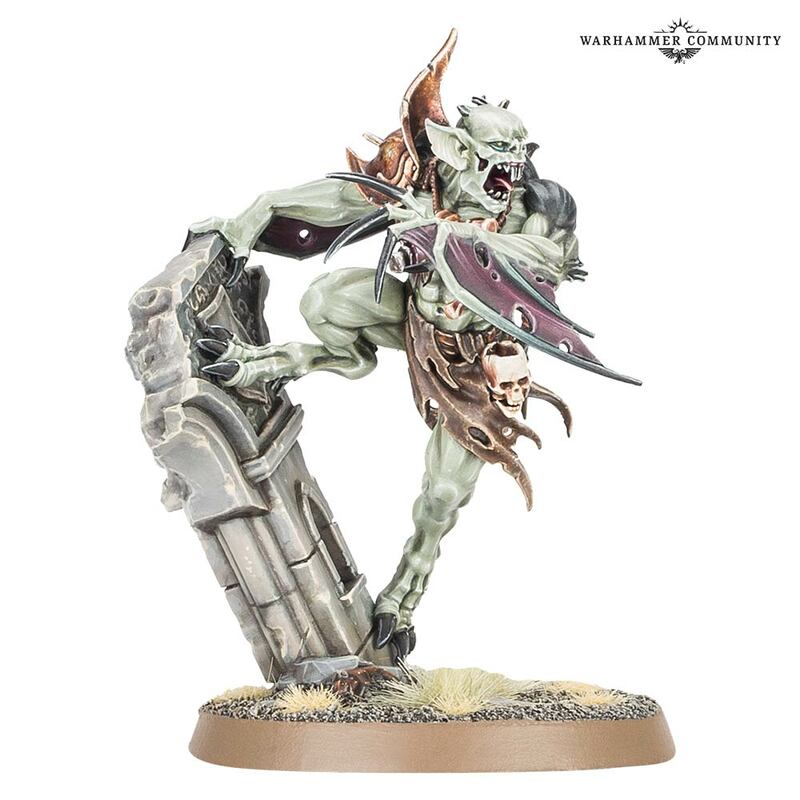 The Clans Skryre, on the other hand, get the Lore of Warpvolt Galvanism, allowing them to supercharge nearby units or shield themselves from harm. 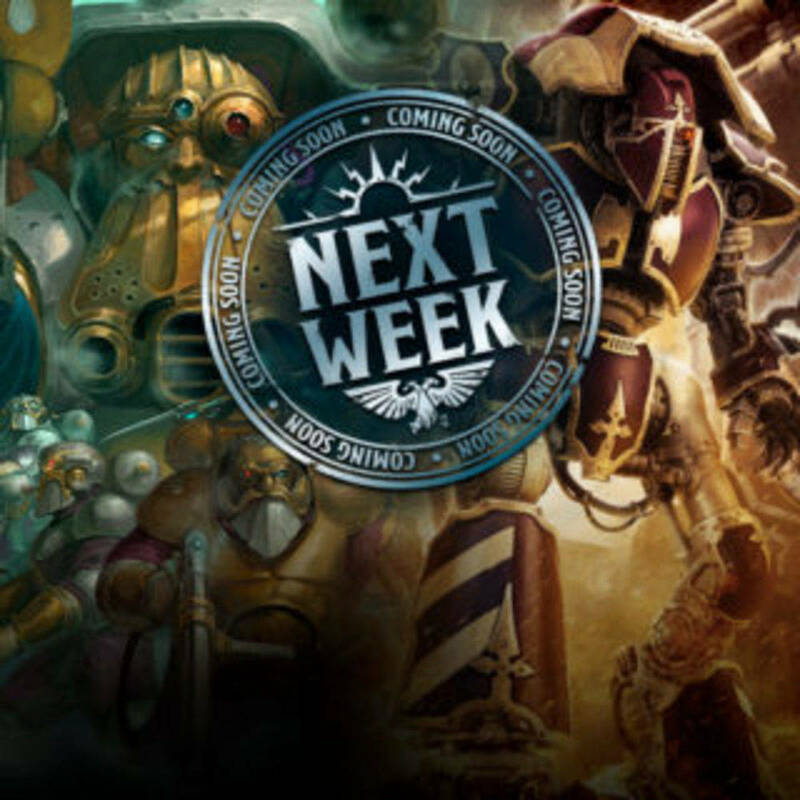 New box announced for AOS ! 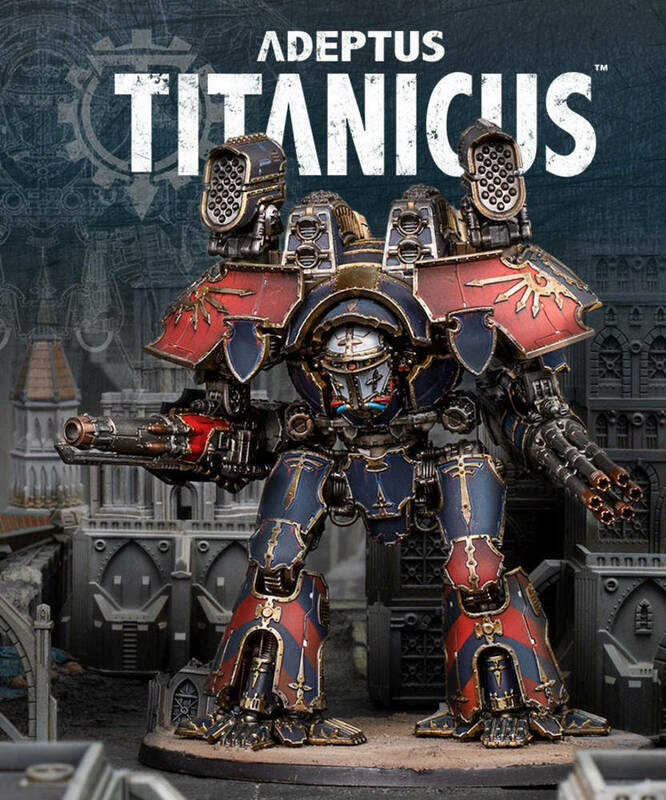 The former is a mighty mordant emperor, even more vicious – and regal – than an Abhorrant Ghoul King, while the latter is a demolitions expert armed with the Doomrocket – a weapon so powerful and dangerous it makes the Doomwheel look sensible. Gw was nice enough to send us the Shadespire release, alas there was some bug in in the machine and 2 Skavens packs arrived and 0 Fireslayer warband. Before checking the composition of the warbands i need to talk about the main trick of the warband. Skritch in his inspired or normal version have an action that allow him to spawn skaven grunts (Lurking,Hungering, or Festering skaven) on any starting hex ! anywhere on the map ! Off course it's a really powerful ability. 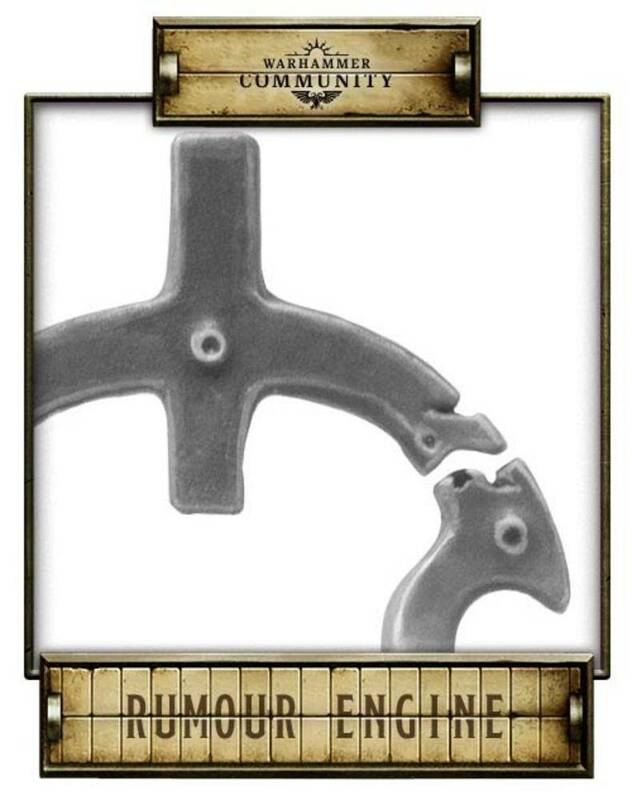 The bread and butter of the skaven ! Skavens gets inspired when you have to "choose" the target of a ploy cards (your or opponents). 1) It add extra value to a ploy on an uninspired skaven ! 2) Ploy not choosing skaven target have less value. 3) Offer a little bit of protection against enemy ploy. 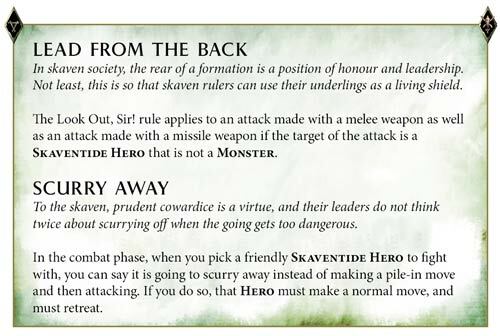 In a nutshell Skavens are fast , numerous so you need to use this to their advantage an isolate out of position warriors. 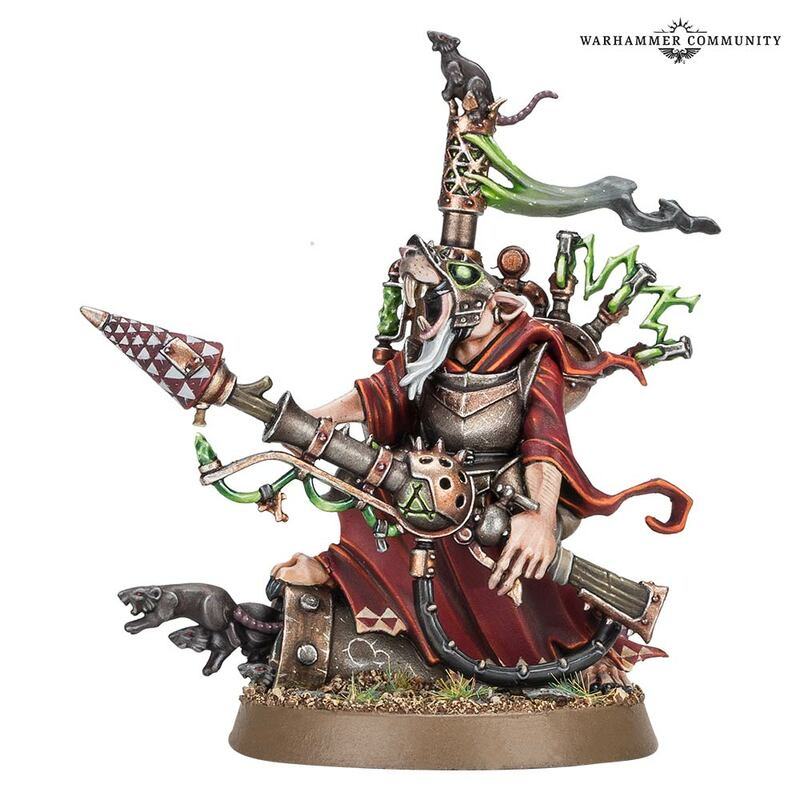 The skaven warband look interesting, they are fast with rez-able grunts. The Leader action allowing the rez seem strong as you can spawn a rat anywhere and hold or contest objectives easily. On the other hand their stats are weak and the inspired version are only small upgrade. Will have to see all the cards to get a better understanding but playing ploys seem like the bread and butters of this team. 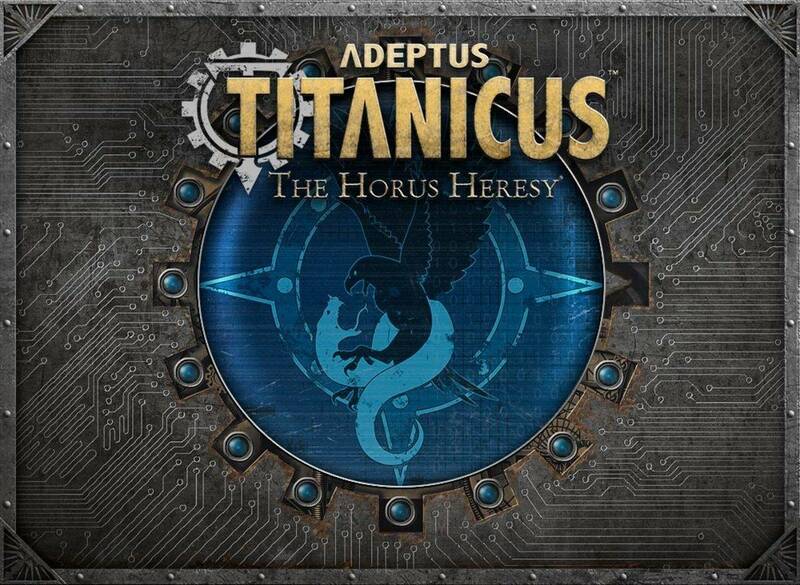 Howdy Guys and Girls - and welcome to 2017's first Temporal Distort - a look back at the past of Citadel and Games Workshop! Today I would like to look back at the work of Jes Goodwin, and some of his original design work. The stage is set for ..... Space Skavens! just sharing the new skaven team !